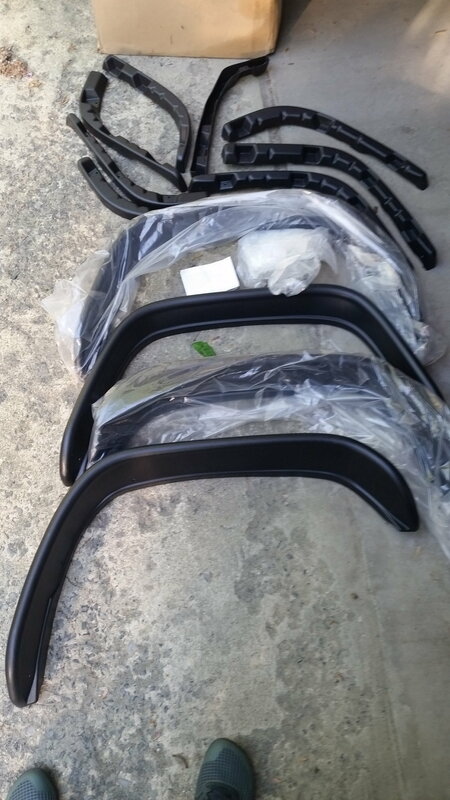 For Sale: Complete set of Bushwacker FLAT Fender Flares for 84-01 Jeep Cherokee XJ. 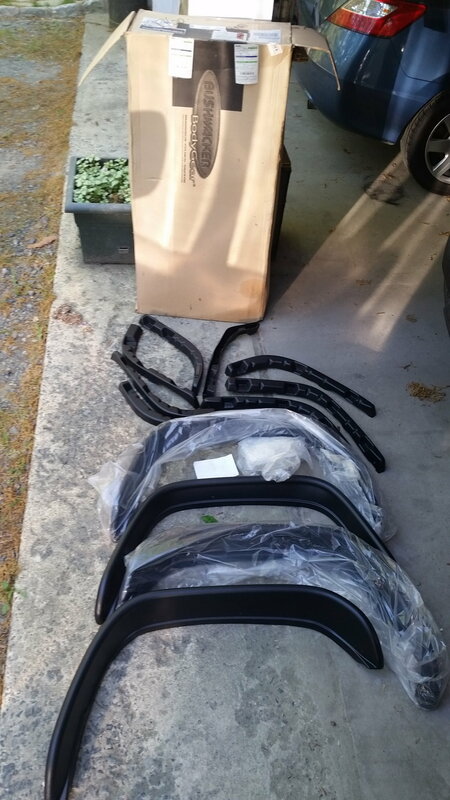 I bought these when I first got my XJ a few years ago with all intentions of installing them. One thing lead to another and I wound up with cut fenders. I took these out of the box just for the pictures. The box is a little worse for wear from being shuffled around the garage for 3 years, but the flares are in perfect (NEW) condition. 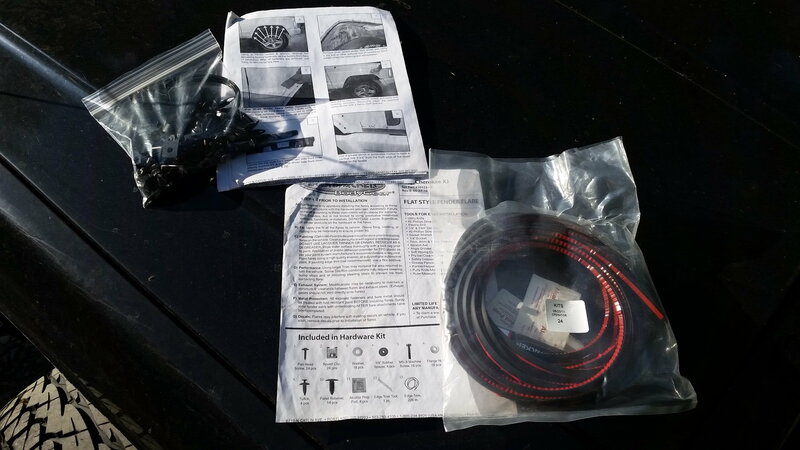 All hardware and instructions included. I'm in central Jersey and would prefer local pick up. I do not want to ship these. If interested and it's a reasonable distance, I can meet up to exchange. I prefer PAYPAL, But will accept cash upon pickup. Last edited by TURBOFEST; 05-14-2015 at 10:38 AM. Hey I am interested in the flares would u possibly do a trade ? Nah, not really looking for anything in trade. I need the loot to purchase the back bumper i want so I can finish up the rear end of my XJ. If you still have these and want to make a deal let me know. Yeah, theyre still floatin around. What did you have in mind?